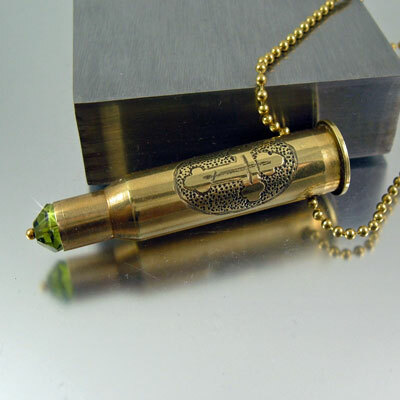 This is a recycled 7.62x54R WIN Russian military casing. Winchester was originally contracted to manufacture the 7.62x54R for Russia in 1895. 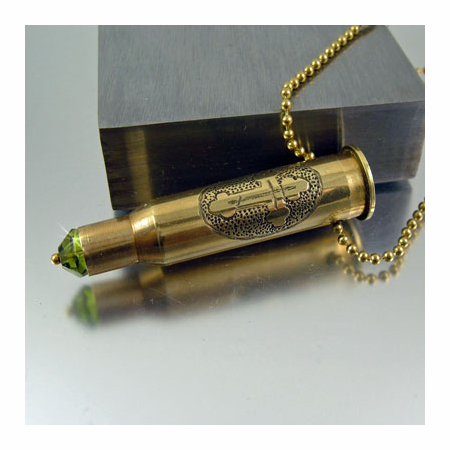 The round was popular and used in WWII and has the longest service life of all military issued cartridges in the world and still being used today. 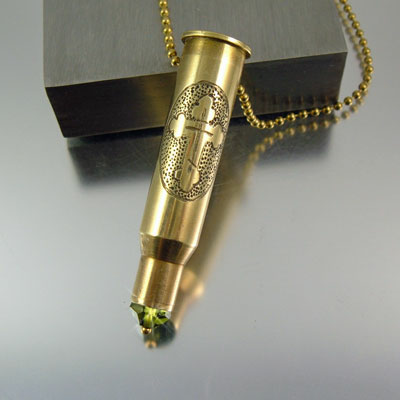 The casing has a hand drawn and carved design of a Byzantine, Orthodox cross. 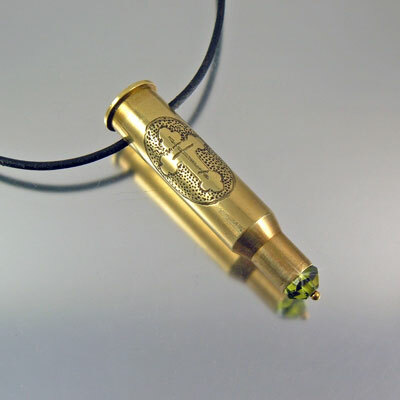 The tip is adorned with a Peridot color Swarovski crystal.